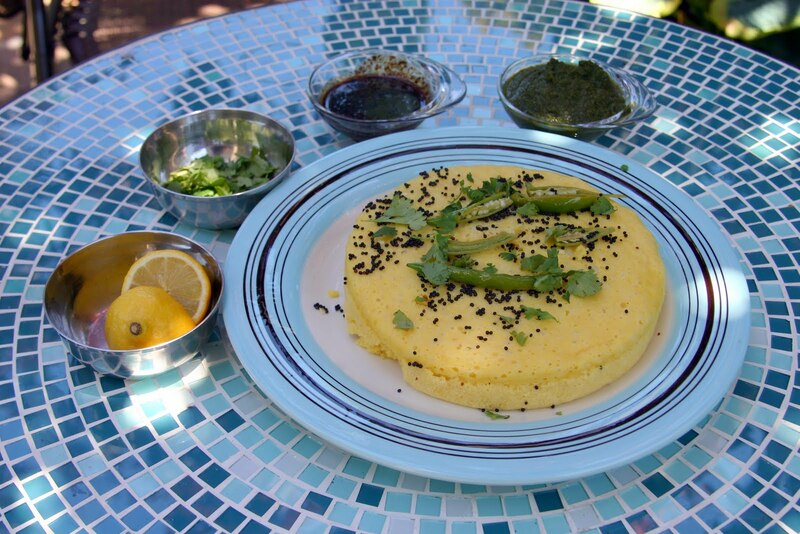 We made this dhokla using a packaged mix, so it was pretty easy. Basically add water to the mix and then steam it. The topping is a bit more involved - heat mustard seeds in oil until they pop, and add spices, etc. We garnished it with cilantro and chillies, plus freshly made mint chutney and tamarind chutney. This is a very satisfying snack. This is a healthy, backed dish. Very good as part of breakfast or evening snack. OMG....I love your cooking experiments!